1987. There’s only one person who has ever truly understood fourteen-year-old June Elbus, and that’s her uncle, the renowned painter Finn Weiss. Shy at school and distant from her older sister, June can only be herself in Finn’s company; he is her godfather, confidant, and best friend. So when he dies, far too young, of a mysterious illness her mother can barely speak about, June’s world is turned upside down. But Finn’s death brings a surprise acquaintance into June’s life - someone who will help her to heal and to question what she thinks she knows about Finn, her family, and even her own heart. From the first chapter of this novel, I knew that it was going to be two things: a deep respectful representation of loss and an emotional exploration of social understanding. 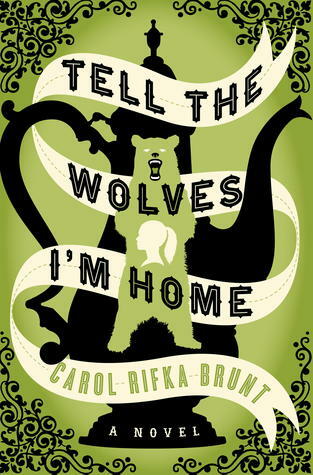 Tell the Wolves I'm Home by Carol Rifka Brunt is one of the best books I've ever read. Though intensely sad, I found the book an amazing and inspiring piece of literature. 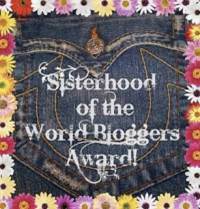 June, a fourteen year old girl, is the main character in this story set in 1987. She's a lonely girl who is just learning how unfair life can be. June loves her Uncle Finn and sees him as a hero of sorts. She's very secretive and imaginative, often pretending she lives in another time and place. Readers will connect with June through their understanding of her uncertainty and questionable nature. Though she doesn't realize all that's happening around her, readers will pick up on the unsaid implications of character actions. Her innocence is beautiful within the difficult situation and her naivete leads to bravery when June refuses to accept the blame that others cast. The plot begins with Uncle Finn who is dying from AIDS. After the funeral, June finds that her mother places blame on a stranger named Toby, who is revealed as Finn's boyfriend. When Toby delivers a package to June, a note is discovered and an unlikely friendship is founded. Finn wants June to take care of his Toby and, though June must keep it a secret, she vows to honor her uncle's wishes. She has no idea what secrets she'll uncover nor what new things she'll learn about her beloved uncle. Tell the Wolves I'm Home is a gem of sadness, sparkling in the darkness that follows death.